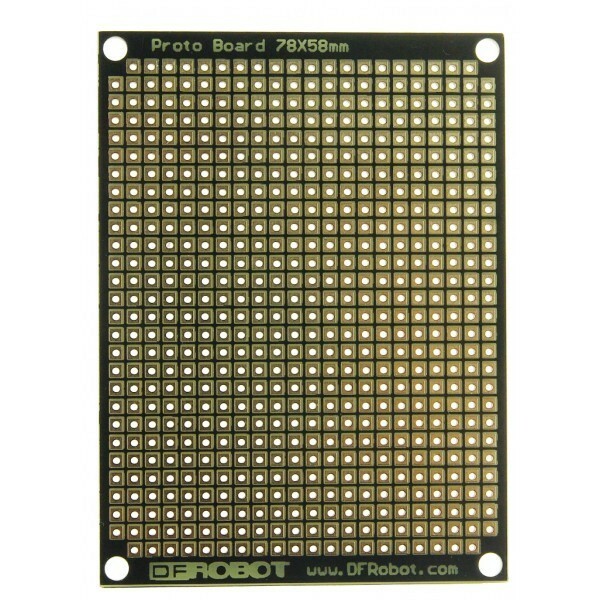 Great for quickly prototyping stackable circuits. 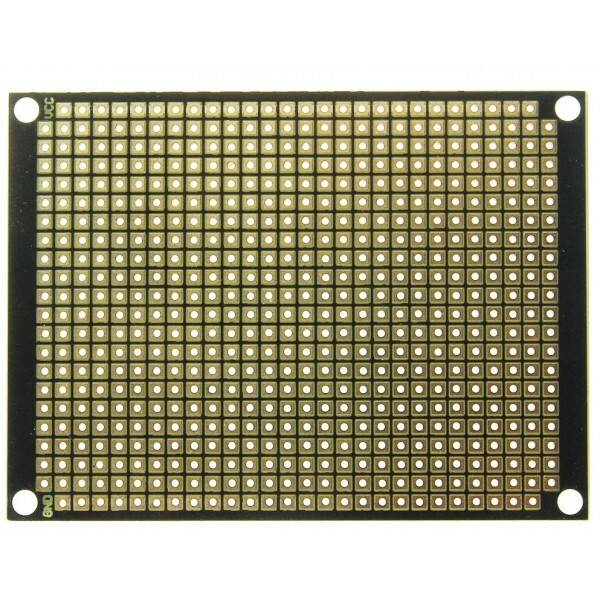 This is a very basic double sided prototyping board with standard 0.1" spacing through holes and four 3mm diameter mounting holes. There are 22x26 holes in total. 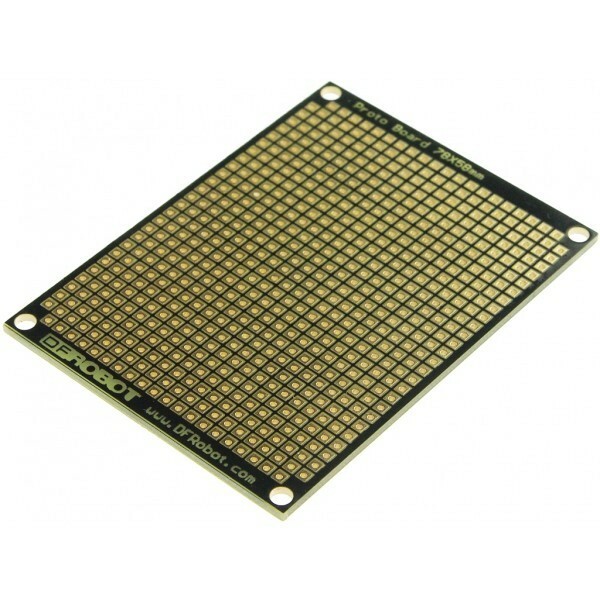 ProtoBoard - Rectangle 2" Double Sided (1 unit). Size: 58 mm x 78 mm.